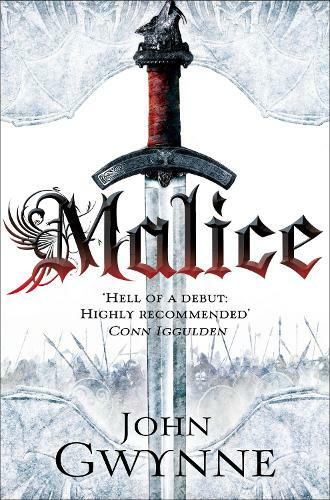 Called a 'Hell of a debut' by bestselling author Conn Iggulden, Malice by John Gwynne is the first in The Faithful and the Fallen series. Young Corban watches enviously as boys become warriors, learning the art of war. He yearns to wield his sword and spear to protect his king's realm. But that day will come all too soon. Only when he loses those he loves will he learn the true price of courage. High King Aquilus summons his fellow kings to council, seeking an alliance in this time of need. Prophesy indicates darkness and light will demand two champions, the Black Sun and the Bright Star. They would be wise to seek out both, for if the Black Sun gains ascendancy, mankind's hopes and dreams will fall to dust. How do i sum this one up? The best way is to sum this story up is like game of thrones but. The key word hear is but.